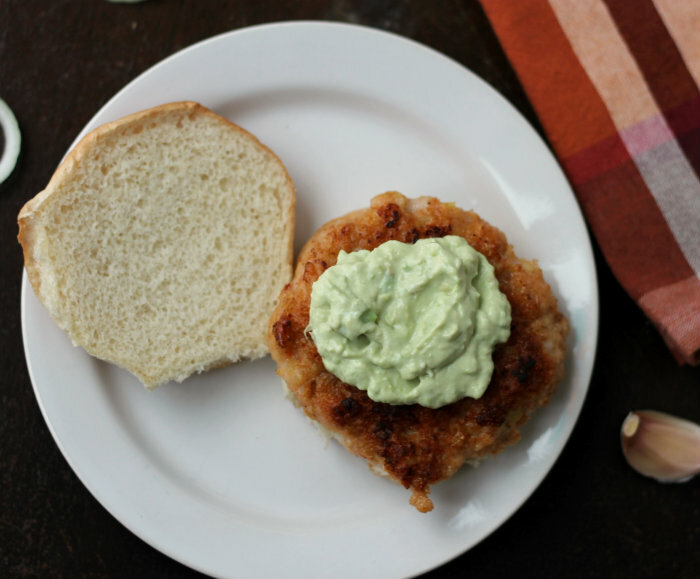 Tasty shrimp burger with avocado mayonnaise. I remember back in my college days, going out with friends and ordering a shrimp burger. That was my first and last shrimp burger. I can’t even recall what it tasted like… I am not even sure why I remember it, but I am sure I have it stuck in my memory for some reason. Maybe that is how these shrimp burgers came about or maybe not. I had bought some shrimp and wanted to try something new. Shrimp burgers came to mind… maybe it was the whole college thing, who knows. I asked Adam what he thought of the burger idea. My son Adam has been my dinner date of late, since Mike has been traveling a lot of late. Adam is always willing to try new things, which is lucky for me. Since he didn’t think it was a half bad idea, I decided on making these burgers. As always or at least most of the time I went with some simple flavors. I did add onion and a clove of garlic to spice it up a bit. Which if you aren’t the fan like I am of onion please feel free to use less of it than I did. I served the burgers with avocado mayonnaise, that I have served with shrimp wraps before. I am not sure if these shrimp burgers were like the one that I had years ago, but I know one thing they were really tasty. Add the onion and garlic to a food processor (a mini one works great) and process until finely chopped/minced. Set this aside. Process the shrimp also in a food processor, pulse until the shrimp is finely chopped. In a small bowl add the seasoning and mix together. In a medium bowl add all of the ingredients together and mix until well blended. Divide into 4 equal portions and form into burgers. Place in the refrigerator while making the avocado mayonnaise. Heat olive oil in a skillet (enough oil to coat the skillet well) over medium heat. 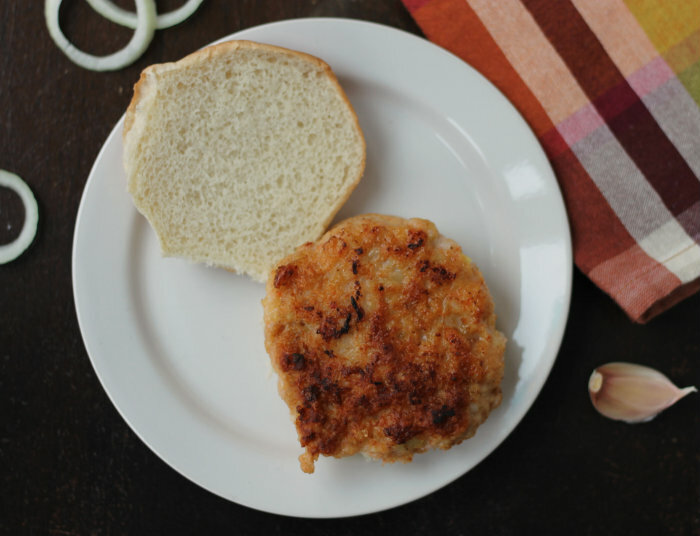 Place the shrimp burgers into the heated pan, cook for 5 minutes or until the shrimp is turning pink and the burger is turning lightly brown. Flip the shrimp burger and continue to cook on the other side for another 5 minutes. Take into mind that the time may differ, it depends on how thick the burgers are and every stove heats a little differently. Watch carefully so the burgers do not burn. What a great idea! The shrimp patty looks very juicy and delicious, Dawn. 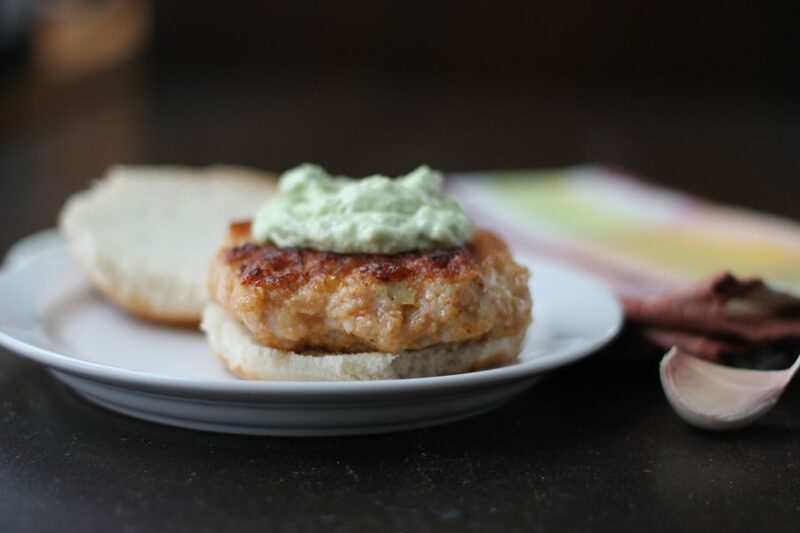 It’s very rare to see shrimp burgers out there! Sounds tasty! I love shrimp a lot!! 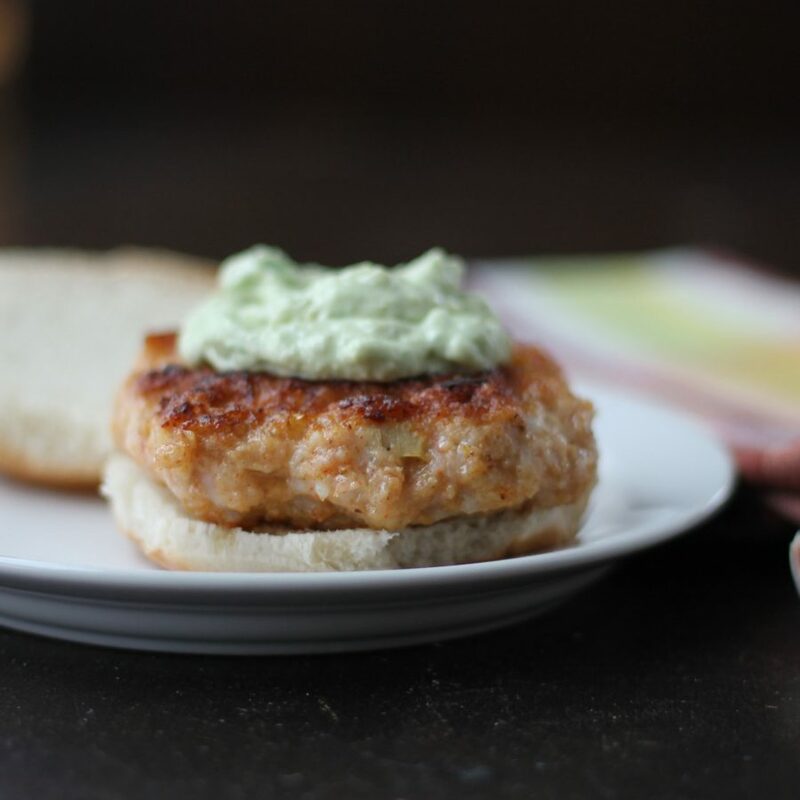 Shrimp burgers! Dawn this looks so good! 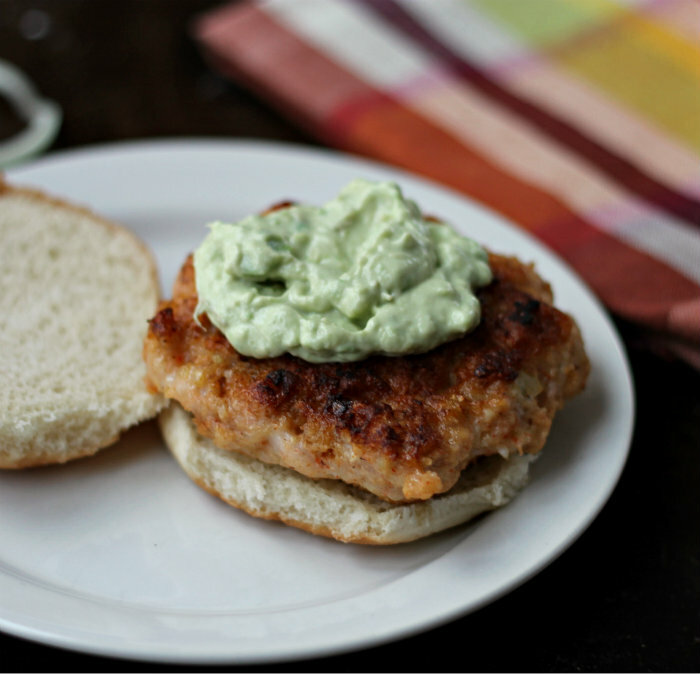 I love, love, LOVE the idea of a shrimp burger! Especially with the avocado mayo! Perfection.